Last Tequila Twist for this year! 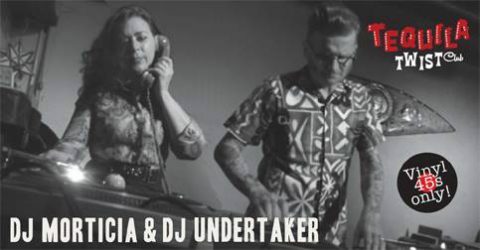 Join me and Morticia for a special edition Tequila Twist Jungle Bells X-mas party at Moriskan. This time with legendary John Berchtold from Copenhagen as our guest Santa, bringing you his wild and raw r’n’b and r’n’r vinyl collection! Crazy dancing all night, surprise movie and simply the best music you ever (or never) heard! What a way to kick-start the holidays! This tequila is twisted! Nasty New year!